The Třeboň Wet Meadows is an LTER site of a 1 hectare area. It is a part of a wetland with the total area of 450 hectares situated in the inundation area of a large human-made reservoir (Rožmberk fishpond, 5 km2). The Wet Meadows are a predominantly herbaceous wetland with an up to several meters thick layer of organic sediment, which is superimposed on quaternary alluvial sands and clays. The vegetation cover is formed mainly by tall sedges (Carex acuta, C. vesicaria) and reed Canarygrass (Phalaris arundinacea). During the last 50 years, after cessation of mowing, a distinct stand structure of hummocks and hollows has developed. The hummocks are formed by tussocks of Carex acuta. On the site, wide water level fluctuations are recorded in some years. The relatively regular spring floods and irregular summer floods occur as a consequence of snow melting and summer rains in the catchment area, respectively. Extreme floods occurred in the summer of 2002 and both spring and summer of 2006, when the water level culminated at 2 m above the soil surface. The most frequently recorded position of the water level is at about −0.1 m. From 1977 to 2006, meteorological measurements were executed in a meteorological screen. Starting from 2006, the measurements have been executed with electronic sensors connected to data-loggers. Since that time, the site has been equipped for measuring carbon exchange and fluxes of CO2 and H2O (eddy covariance system, Licor). 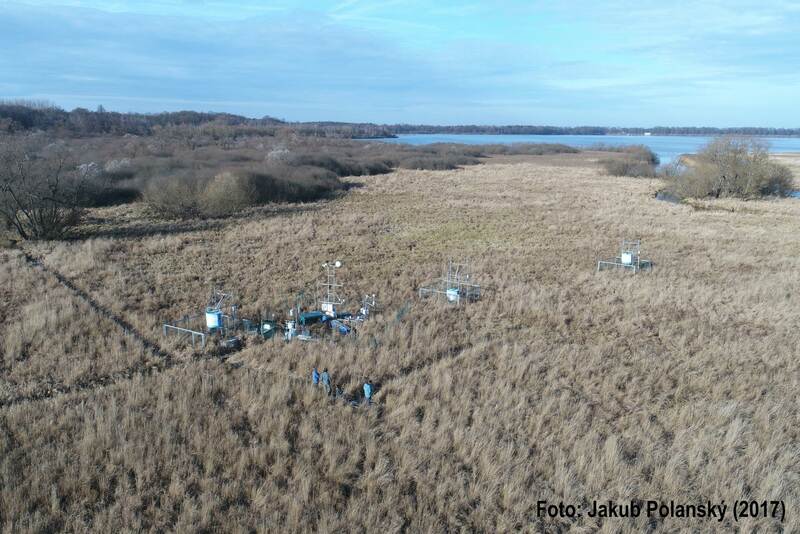 Since the spring of 2011, the site has been equipped for measuring methane and CO2 emissions from the sedges (automatic static flow chamber with a laser gas analyzer, LGR).The Wet Meadows are included in the integrated carbon observation system (ICOS) as a wetland ecosystem station.